What’s happening with the City Square Project? Mike Shepherd continues to keep Aberdeen Voice readers up to date. TIMING: The design competition for the City Square was launched on the 19th April. Companies are being asked to express an interest by the 13th of June. A shortlist of 5 to 7 companies will be identified and these companies will be asked to tender designs for the city square by the 16th September. Once these come back, the plans will go on public display. The winning design will then be picked by the city square board with the advice of a jury. The winning team will be announced in mid December following approval of the design by the Council at their meeting on the 6th December. Planning permission will be sought in 2012. There is also a possibility it could be passed to the Scottish Government for approval. Meanwhile the Aberdeen Local Plan has been handed over by the Council to independent reporters for review. 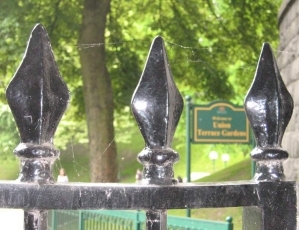 Union Terrace Gardens is an unresolved issue in the plan and it is possible that the reporters could call for a hearing or more likely work with the written submissions to resolve this. They will have their work cut out as there were over 370 submissions against the inclusion of the Gardens as an opportunity site (and only two in support). The plan will probably not be finalised until early next year. WHO IS DOING WHAT: This is complicated and rather murky. The Council set up a project management board to look after the City Square Project. The board in turn have assigned some of their responsibilities to an independent trust (limited company) formed by local businessmen in January this year. 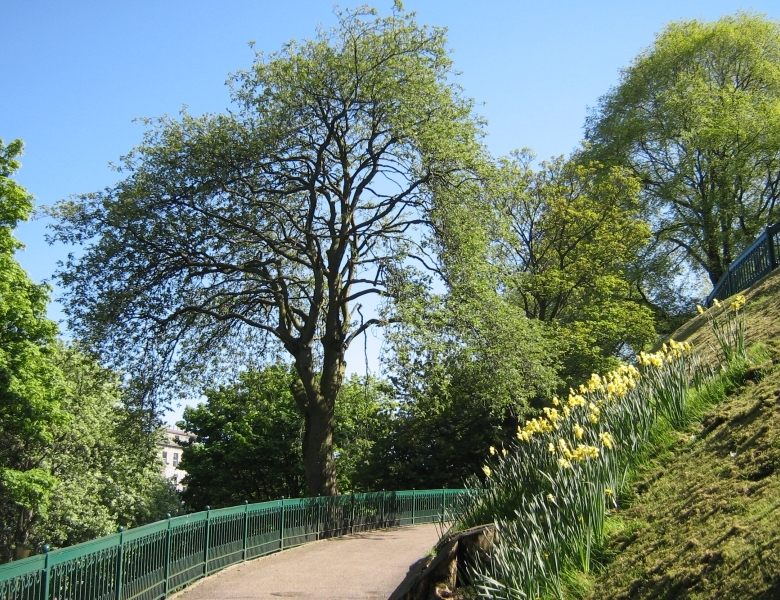 The Aberdeen City Gardens Trust has been funded both by Sir Ian Wood and the Scottish Government (Scottish Enterprise). The Council have been asked to nominate a council representative for the trust. The trust then formed a subsidiary called ACGT Enterprises. I understand that the trust is seeking charitable status and would not be able to charge, or reclaim VAT as a result. ACGT Enterprises Ltd has been set up to be the commercial arm of the project, which would be responsible for taking rent, and providing services for the proposed development, but will be non-profit and would pass all the monies back to the charitable trust. ACGT Enterprises have subcontracted to a company called Malcolm Reading Associates to manage the design competition. Although councillors John Stewart and Kevin Stewart are on the Project Management Board, the council largely seem to have lost control of the project. The original intent was to have a council controlled trust (Special Purposes Vehicle) to manage the city square, but this doesn’t look as if it is going to happen, even though it was what the councillors voted for. THE DESIGN BRIEF: The five to seven companies that are selected to come up with designs for the city square will need to be given a design brief. This will have to be reasonably detailed as to what is required for the city square. For instance, if a new bus station is to be built under the square, there will have to be some means of getting the buses in and out. The design brief will have to be submitted to the full council for approval and it will most likely come up at the meeting on the 29th June. I’m getting the distinct impression that the design brief is one major headache for the project management board. The problem isn’t so much the square but what goes underneath it. The accommodation space under the city square is about 5/6ths the size of Union Square according to the technical feasibility study. How do you fill such an enormous space? We are told it is not going to be a shopping centre or the site of a big multi-storey car park. Various suggestions to date have included an arts centre, a heritage museum, a transport hub, a cafe quarter, a conference centre and even an alternative energy research centre. LAND OWNERSHIP: The question of who owns Union Terrace Gardens has arisen. The Council have farmed out the question of land ownership to the solicitors Brodies who are currently investigating the issue. However, I’ve been told by the Council that the park is thought to lie entirely on Common Good land. As a result, it is likely that a court order would be required for any change in status for the property. I’m told by the council that they are considering retaining the ownership of the land but with the intent of providing a long-term lease. If the city square project goes ahead, the civic square and the large building underneath it will belong to the private company / trust that has leased out the underlying land. There had been a plan to get the council to approve leasing out the land this April, but it looks as if the council had second thoughts on that one. FUNDING: The funding is the major problem with the city square and the one most likely to scupper it. The oft quoted costing for the city square is £140M although in reality an accurate estimate will not be available until the designs have been scoped out. One architect told me that £140M is an unrealistic figure. Union Square cost £250M to build and was located on a flat, reasonably accessible site. If you consider the city square as an upside down Union Square on a difficult site with limited access, then you are perhaps on the way to a more realistic idea of the cost. So far, only £55M of private money is on the table including the £50M allocated from Sir Ian Wood. The plan is for the council to borrow an additional £70M through Tax Incremental Financing (TIF). John Stewart complicated the issue by adding three extra projects (St Nicholas House demolition, the art gallery extension and signposted walkways in the city centre). As a result, the feasibility of TIF funding is not likely to be decided until the end of the year. The TIF funding mechanism for the city square is somewhat risky as it depends on the idea that the city square will cause a rise in business rates in the wider city centre to pay off the loan. If this doesn’t happen the council will be left with large unpaid borrowings. The Scottish Government may not have available funds to provide money to the Council for the city square. Just after the Scottish parliamentary election Alex Salmond was quoted in the Evening Express as wanting to show his gratitude to NE voters for their support. He would do this by supporting funding of the bypass and upgrading the Tipperty to Ellon road. The city square was not mentioned. WHAT IS LIKELY TO HAPPEN: I often hear comments that the city square will never happen, lack of funding being the main reason for this. I’m not so sure. The project has developed a momentum and has the support of the majority of councillors, business interests and is getting favourable press by Aberdeen Journals. Funding is of course an issue. However, in spite of statements to the contrary, I don’t detect universal enthusiasm for the city square amongst the councillors who support the scheme. They are well aware of the strength of public opinion against the city square. One factor is the recent resurgence of the SNP, gaining all 7 NE constituency seats in the Scottish parliamentary elections. The SNP have become the dominant party in the Aberdeen Council with Callum McCaig likely to become council leader before long. Although the council administration is a coalition between the Lib Dems and the SNP, it will be Callum that will be the public face of the council. Will he want to have the smoking gun of leading an administration that voted for the city square when the council elections are due next May? Perhaps even worse for the SNP is that the city square could be in the construction phase, come the next Scottish parliamentary elections. By then, the trees will have come down. The SNP would have to defend their three city seats in the face of a very angry public. As reported two weeks ago, Alex Salmond has suggested a referendum for the city square with keeping the existing park as a voting option. This may be the way forward to defuse the controversy and perhaps even restore public faith in local democracy.